Preview sample pages from the iiTomo 1 Teacher Guide. 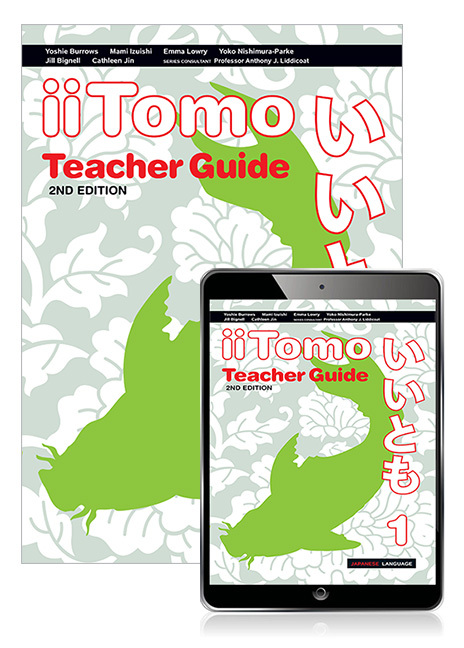 This teacher combo pack contains 1 copy of iiTomo 1 Teacher Guide and 1 access code card to iiTomo 1 Teacher eBook, and audio download. Teacher eBook comes with access to the Audio tracks Download page if you want to save all audio tracks on your device for ease of use. Pearson 9781488672705 9781488672705 iiTomo 1 Teacher Pack This teacher combo pack contains 1 copy of iiTomo 1 Teacher Guide and 1 access code card to iiTomo 1 Teacher eBook, and audio download.